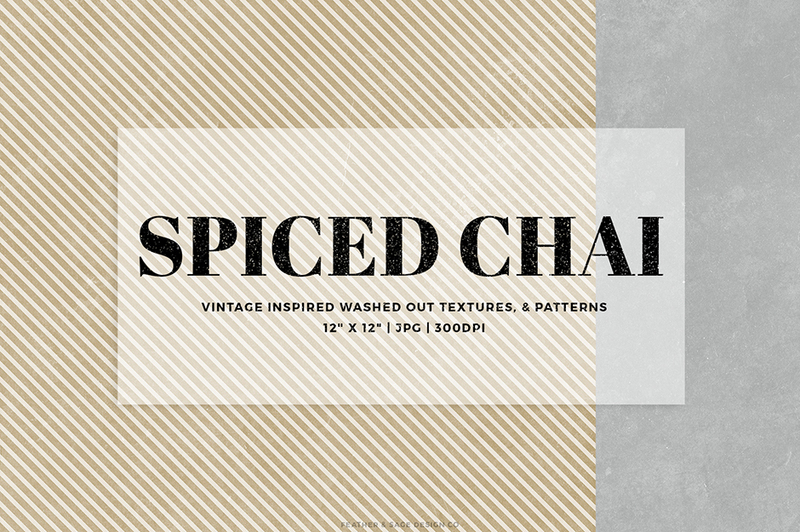 Spiced Chai Digital Papers Set	By: Feather & Sage Design Co.
Sixteen high-resolution digital papers in vintage inspired washed out textures, and patterns. Perfect for complimenting your brand, blog or craft project. Software compatibility:.JPG files will work with most graphic software. File size is approx 40.8MB (42.8MB unzipped), offered as a single download.